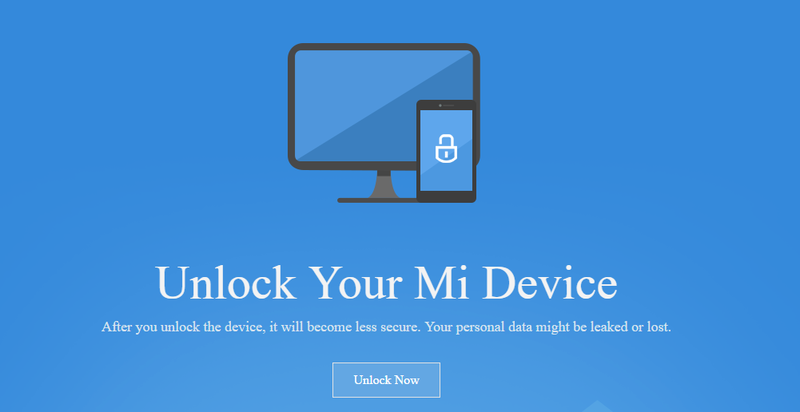 Today we discuss how to Use Mi Flash Unlock Tool to Unlock Bootloader Of Xiaomi Devices. All Recently launched Xiaomi devices comes with locked Bootloader. Locked Bootloader means you can’t flash the custom recovery, custom kernel or custom ROM on your device unless you unlock the Bootloader of your device. 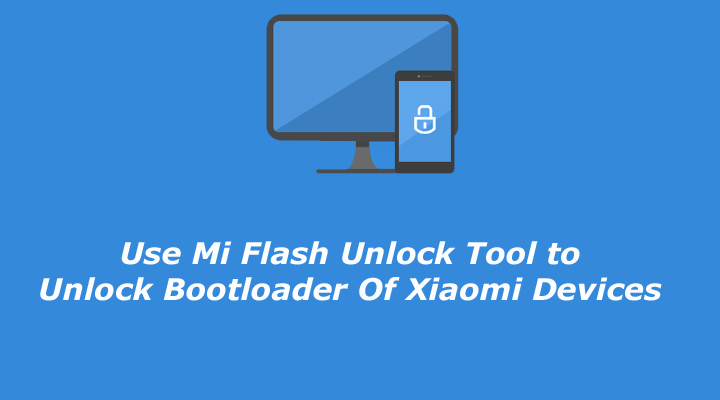 You need to Download Mi Flash Unlock Tool to Unlock Bootloader Of Xiaomi Devices. 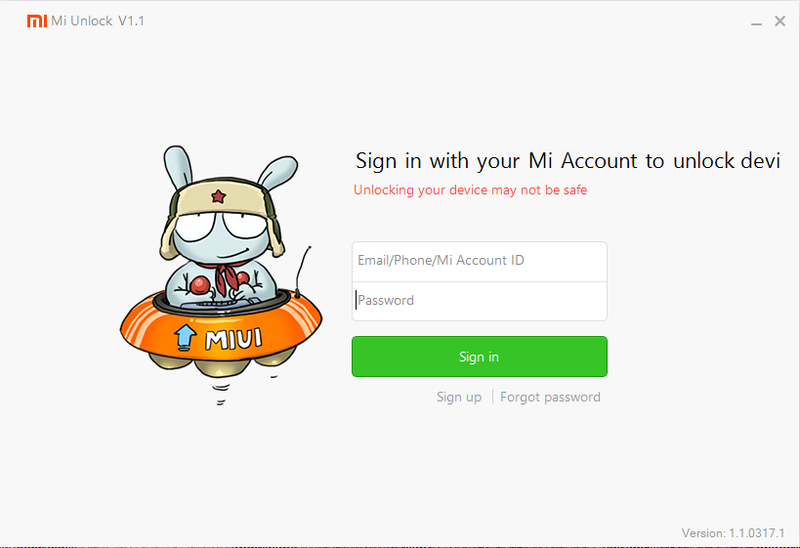 Follow the steps below to Use Mi Flash Unlock Tool to Unlock Bootloader Of Xiaomi Devices. Mi Flash Unlock Tool is a one click utility program which easily unlock your device bootloader. The tool is completely free and very easy to use. Here we share the direct link to Download Mi flash Unlock Tool. Here you can Use Mi Flash Unlock Tool to Unlock Bootloader Of Xiaomi Devices (Redmi Note 3, Mi5, Mi Note Pro, Mi4c, etc.). 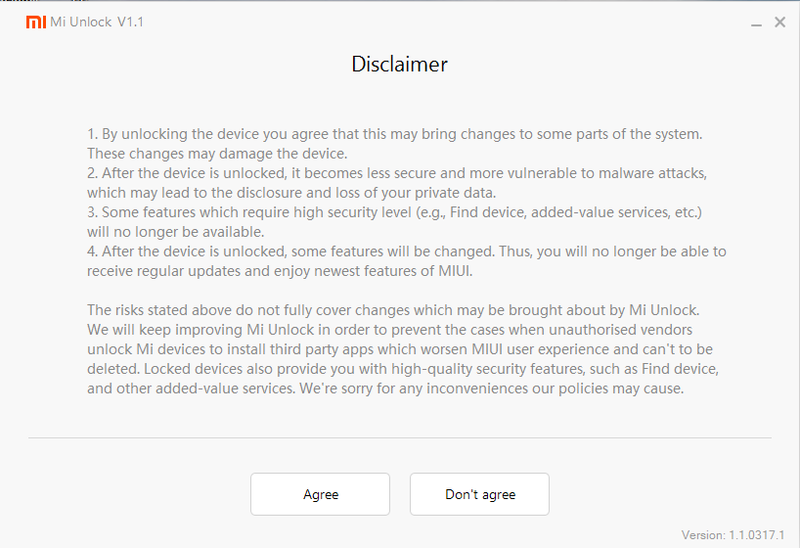 Read the below note carefully before you Use Mi Flash Unlock Tool to Unlock Bootloader Of Xiaomi Devices. Unlocking your Bootloader will void your phone warranty, and you won’t claim it back. This method is only Xiaomi devices don’t try it on any other device. We are not responsible for any damage of your phone. It will erase all Data, so we advise you first to take a complete backup of your phone and then proceed. 1) First, Download the Mi Flash Unlock Tool from above and extract it. 2)Now open the extracted folder and run the MiFlashUnlock.exe file. 3) Now login to your MI account, if you don’t have one then create new Mi id. 5) Now click on the “Go” button or use Go to MIUI Unlock page to receive the unlocking permission. 6) Now click on the Unlock Now and log in with your Mi account details and fill all details. 7) You will get OTP for confirmation use it to complete the process. 8) Now wait until your application gets approved, you will receive the OTP password on your phone number once it’s approved. 9) Now use the OTP number on the Unlocking screen. Open the Mi Flash tool application on your desktop and, this time, you should have the permission to unlock the phone. 10) Now Open the Mi Flash tool application and this time, you have the permission to unlock the phone. So this is the complete guide of how to Use Mi Flash Unlock Tool to Unlock Bootloader Of Xiaomi Devices. If you have any questions comment below. The ID logged in your device doesn’t match. Something relevant to this. Same here. I verified multiple times that the ID is the same. I did not get any code or password on my phone after process number 6.
how much time. its really up to 10 days? i use this reason and my request unlock was approved. Congratulations Xiaomi, you’ve just lost a customer for Mi5 Pro because of this stupid and useless stunt with locked bootloader. i have the same erreur massege, the verification was on process and stop on 50% ” couldn’t verify device” how can i deal with that. i downloaded the mi unlock tool v 1.1. after logging in i get a message saying “your device isn’t supported.” “go to unlock.update.miui.com to apply Mi Unlock Support and view the progress.” i clicked on go then it took me to this website – http://en.miui.com/unlock/. after I logged in it gee me another message “Discuz! System Error – SQLSTATE: Integrity constraint violation: 1062 Duplicate entry ‘308004330’ for key ‘PRIMARY’. nothing else to click on and cant proceed. My MiFlashUnlock tool states that my device is already unlocked however I am unable to install TWRP, so I checked the state of the phone by installing ‘Root Checker’ and it tells me that I do NOT have root access..
What error you are facing while installing TWRP? My MiFlashUnlock tool states that my device is already unlocked however I am unable to install TWRP, so I checked the state of the phone by installing ‘Root Checker’ and it tells me that I do NOT have root access.